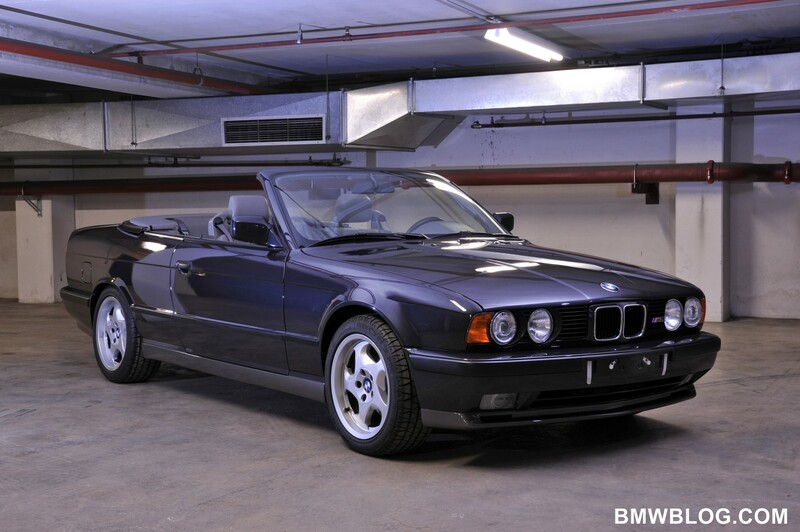 Not a first time unveiling, but always pleasant to see the one-off BMW E34 M5 Convertible. The history of the “never produced M5 Convertible” goes something like this. In 1989, Motorsport engineers developed an M5 convertible, with two lengthened front doors and seating for four. It really did come very close to production – a price of 50,000 GBP was agreed, and space was even booked at the Geneva Motor Show. Seeing the car in person, our regrets are even bigger now that BMW decided to skip on this unique M5. With the current 3 Series Convertible showing strong sales numbers and with the new 6 Series Convertible just around the corner, we find it difficult to imagine that BMW will ever adventure down this road again. For now, we’ll just have to enjoy the almighty M5 Sedan, and more on that in just a few hours. 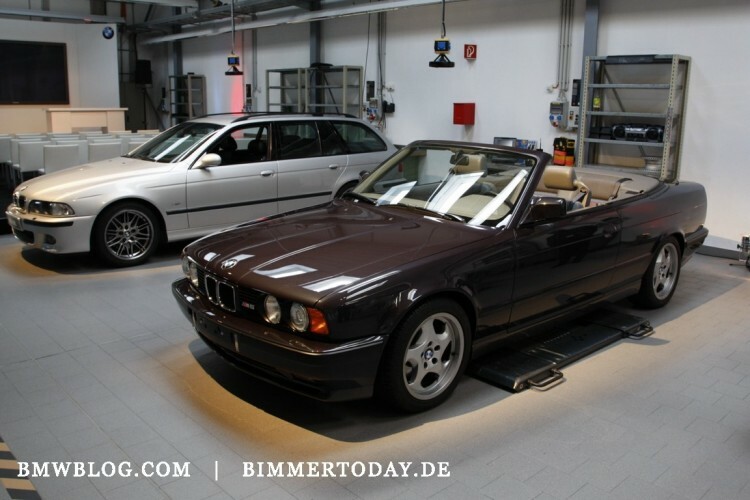 The photo gallery below also includes photos from a previous event where the M5 Convertible was displayed. Rendering: Care for a BMW M5 Convertible?